The Tier 4 Final CX60C is the largest and most powerful mini excavator CASE has ever produced. Weighing in at six metric tons and with best-in-class horsepower, it features a short radius tailswing design and adjustable boom that allow it to work in close quarters while providing digging forces of nearly 9,200 lb. 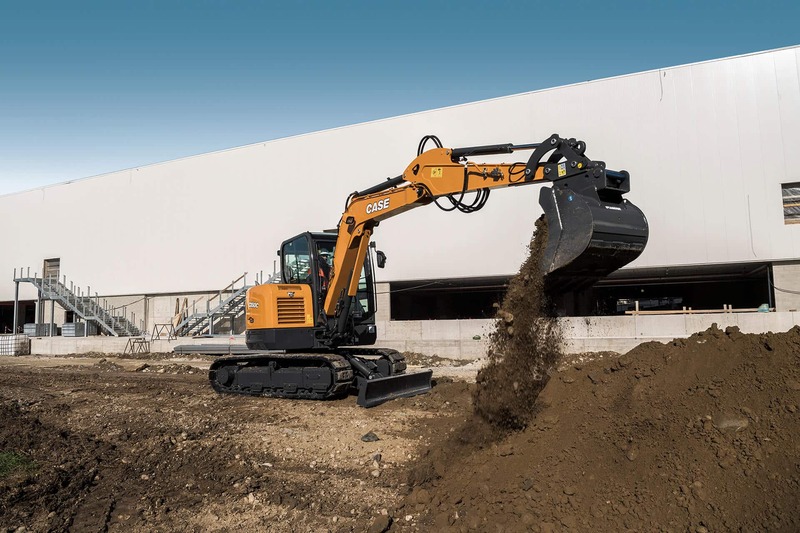 Quick, responsive hydraulics, deluxe cab comfort and standard high-performance features make this mini an extremely capable addition to any construction environment. 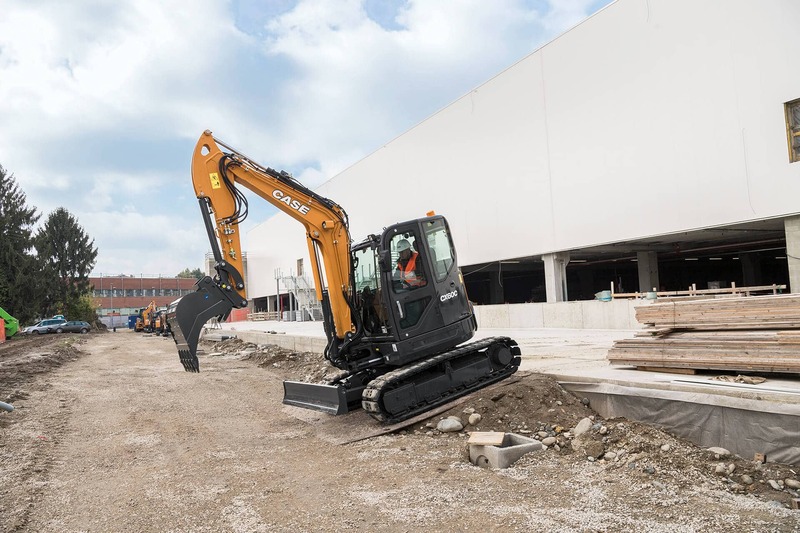 In addition to the compact power that the CX60C provides, the C Series provides more features and functions that drive productivity than any previous CASE mini excavators. Models come standard with an adjustable boom that can be offset to either side for operation in tight sites, auxiliary hydraulics for thumb and attachment versatility, a push blade for backfilling and stability in digging applications, Automatic 2-Speed Travel that shifts in response to load demands, and a control pattern selector that lets operators choose the style they prefer. Additional options include a long reach configuration with a larger counterweight, steel tracks for improved durability on rocky or aggressive terrain and a hydraulic quick coupler. Providing excellent power and performance with minimal fuel use, the CX60C features an efficient 65-hp engine and an innovative combination of Tier 4 Final solutions, as well as a standard Auto-Idle function and two separate operating modes that help match engine output to application demands. The standard deluxe cab of the CX60C is the most advanced, comfortable and productive cab ever found on a CASE mini excavator. It features a spacious design, ample storage, floor-to-ceiling glass and full-open front window for excellent visibility, an adjustable heated seat, climate control, roller shade, and Bluetooth radio with USB input and remote. Ergonomic pilot controls reduce operator effort and the standard 5.7-inch LCD touchscreen ensures performance data and important functions are easily accessible. The monitor can also be integrated with the optional rearview camera for improved awareness. 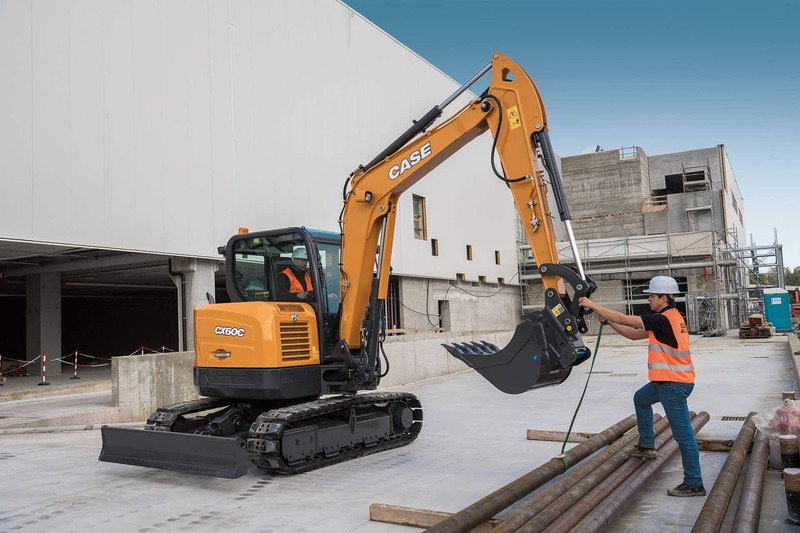 CASE is committed to making maintenance easy so that owners and operators are more likely and more easily able to properly care for their machine. Like all C Series mini excavators, the CX60C has key service items (fills, filters, gauges, grease points, etc.) accessible from the ground via two lockable panels. 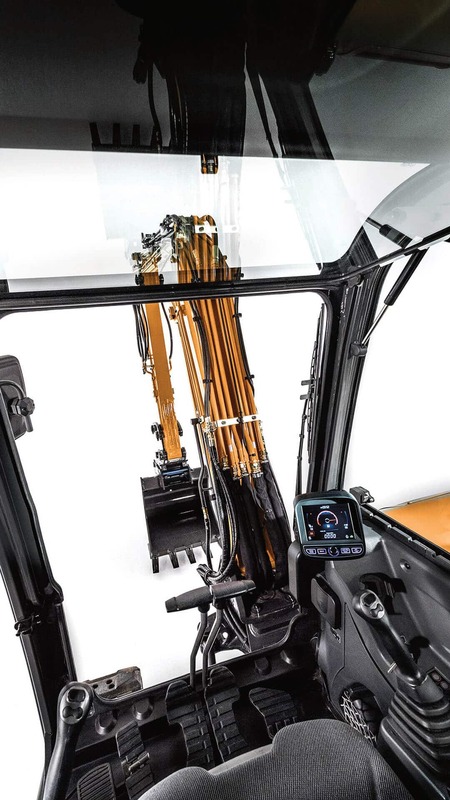 The CX60C also features a tilting cab for improved access to hydraulic systems. Purchased Protection Plan is an extension of the factory base and extended coverage is available at an additional cost. Your CASE dealer can help you determine the plan that fits your needs. Calculate your total cost of ownership with our new calculator. Configure your perfect CASE machine today. 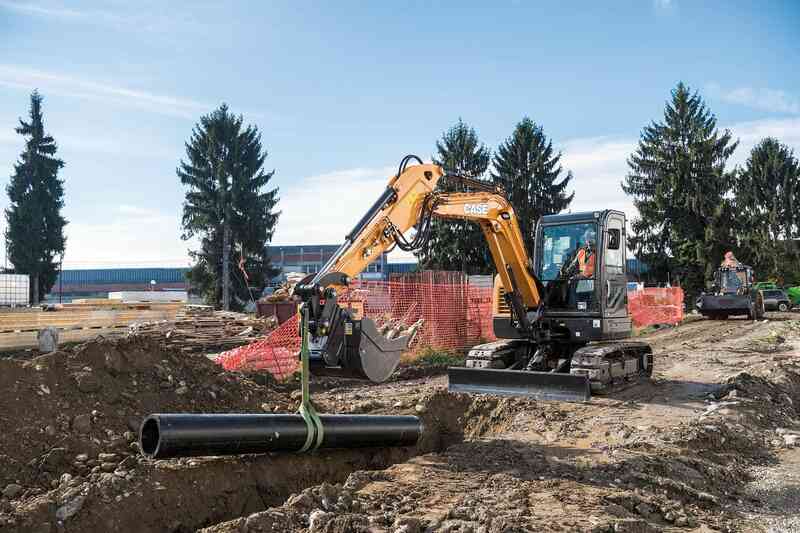 Easy to operate, easy to maintain and easy on the operator, CASE asphalt compaction equipment is built for the daily grind without the daily grief. Sign up to receive the latest on new products, customer solutions and exclusive offers.